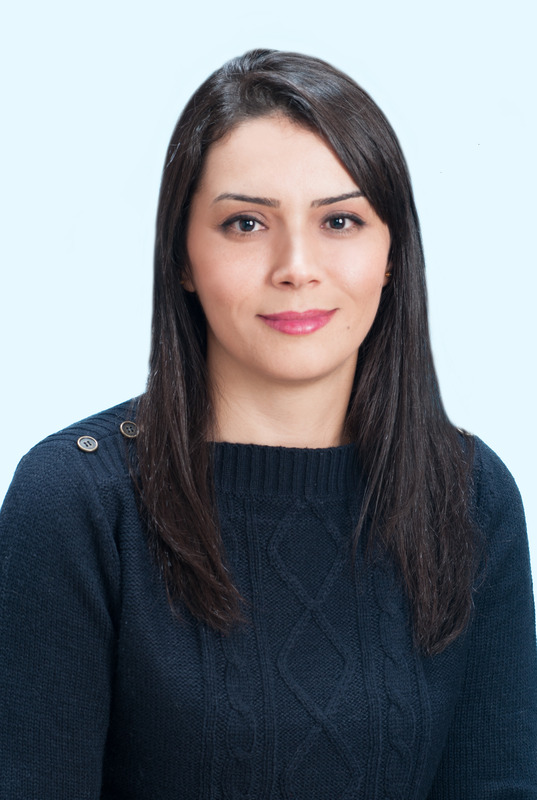 Wafa DRIDI did her PhD in CBMN-University of Bordeaux and University of Carthage, working on "The influence of formulation on water-in-oil emulsions oxidation". Julen ETXABE did his PhD in the University of the Basque Country in San Sebastian, Spain, working on the organocatalytic and stereoselective synthesis of quaternary α-mercapto- and α-amino acid derivatives. Dr. Wafa Gati Graduated from the University of Monastir (Tunisia) with a M.S. in chemistry. She then began graduate studies in chemistry under the guidance of Professor G. Evano at Lavoisier Institute, University of Versailles (France) where she focused on the synthesis of nitrogen-containing heterocycles through carbometallation of ynamides. Upon completion of her Ph.D. in 2013, Dr. Gati moved to Chubu University (Japan) to undertake postdoctoral research in asymmetric Lewis acid catalysis in the H. Yamamoto group. Her latest work has been centered around super silyl chemistry and Mukaiyama aldol reaction. Anthony HUTIN did his PhD in IFP Energies nouvelles, France, working on interactions between synthetic surfactants and in situ surfactants for enhanced oil recovery. The experimental study of mass transfers between oil and water allowed to develop a model predicting the evolution of the pH of the injection water according to the acid-base parameters of crude oil. This project allowed to publish 2 patents and 5 articles. Then he joined TECLIS Intstruments as R&D manager to set up and manage european scientific collaborations with universities and companies. In this context, he studied 2D foams, non -aqueous foams and interfacial rheology for food, cosmeticc and petroleum issues. Julie did her PhD in Bordeaux II University in 1999, working on the vascular smooth muscle differentiation mechanisms by studying the regulation of transcription of the VCAM-1 and sm-MHC genes. She had several experiences in biology concerning cancer, atherosclerosis, genetic and diabetes. She performed her latest research studies in the "Maladies Rares : Génétique et Métabolisme" Laboratory in Bordeaux, working on spinocerebellar degenerations caused by the abnormalities of lipid and mitochondrial metabolism. Marion did her Master's degree in the "Ecole de Biologie Industrielle" in Cergy-Pontoise in France. At the end of her studies she worked in FLUOFARMA (start-up in Pessac, France) on the development of a neurodegenerative disease cellular model then on the effects and the action mecanismes of therapeutic molecules. Lately, she worked in IECB (Pessac) in the "Unusual Nucleic acid structures" team to study the therapeutic effects of G-quadruplex ligands. 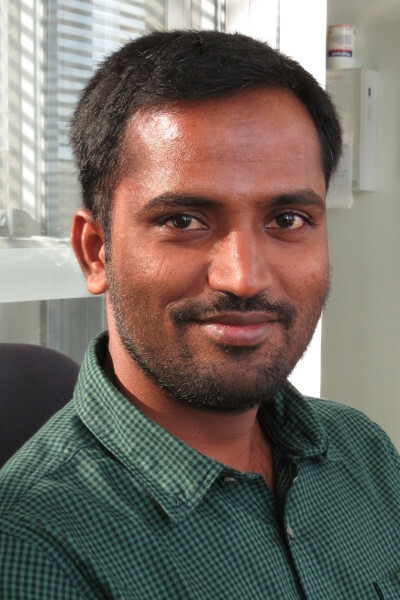 Saireddy POST did his PhD in Acharya Nagarjuna University, Guntur and CSIR-IICT, Hyderabad, India working on “Synthesis of Macrosphelide M, 6-O-benzoylzeylenol, C-Linked Carbo-β2,2-Amino Acids and β2,2-Peptides”, then a first post-doc in The Institute of Chemistry, The Hebrew University of Jerusalem, Israel working on “The Synthesis of Proteins by Solid Phase Peptide Synthesis and Native Chemical Ligation reactions, Deselenization reactions and Oxidative Protein Folding using Small Seleno Molecules”. Project :Evaluation des propriétés amphiphiles de nouveaux tensioactifs biosourcés, de type « glycolipide ». Vanessa Zhendre-Komorowski did her PhD at CBMN in E.J. Dufourc team. She studied the role of phospholipids, especially phosphoinositides, in membrane fusion process by solid-state NMR and cryo-TEM ( in collaboration with O. Lambert team). This work led to propose a mechanism for membrane fusion in which phosphoinositides also act as modulator of membrane structure and dynamic. After PhD, she worked as NMR engineer in the technical platform of IECB. She was involved on research projects but also contributed to the management of the platform (with another engineer). She was especially in charge of the operational responsability of the TGIR (which involved a 800 MHz). 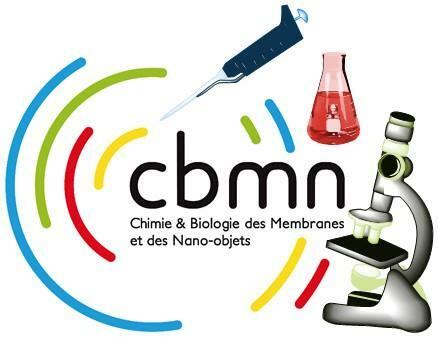 She has also been working in the metabolome platform of INRA center of Bordeaux and in the Imaging and molecular photonic team at the Institut of Molecular Sciences.